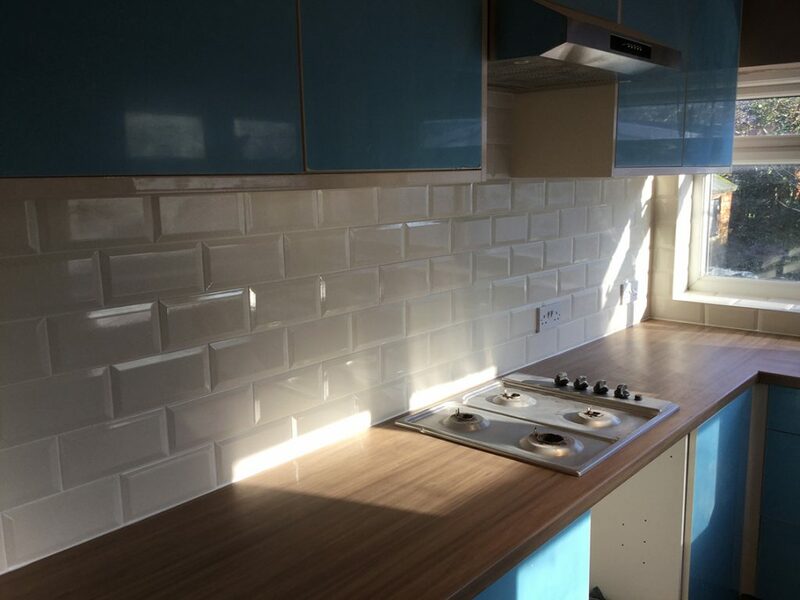 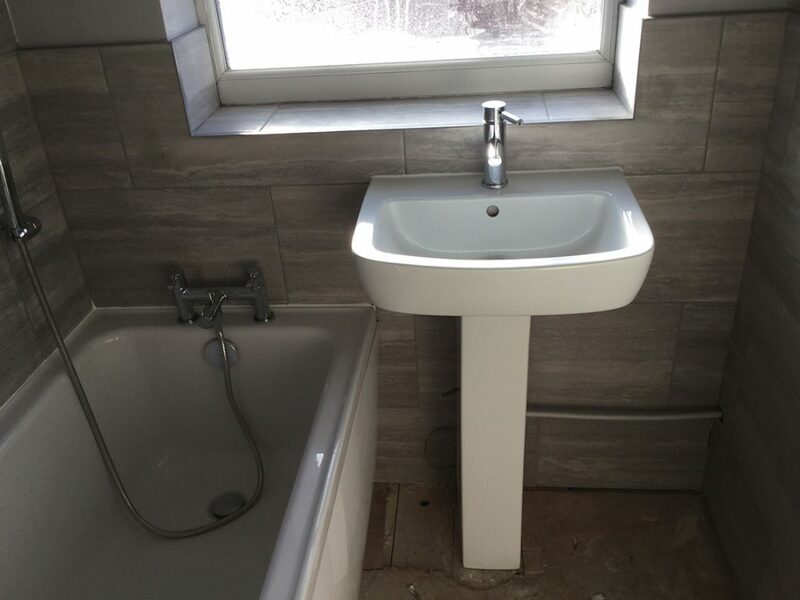 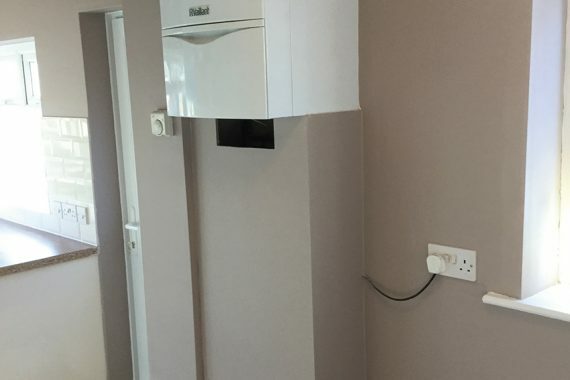 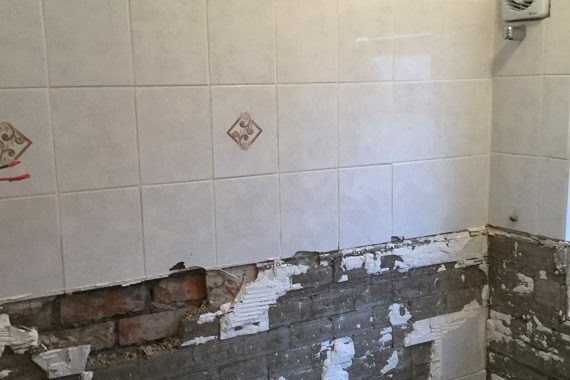 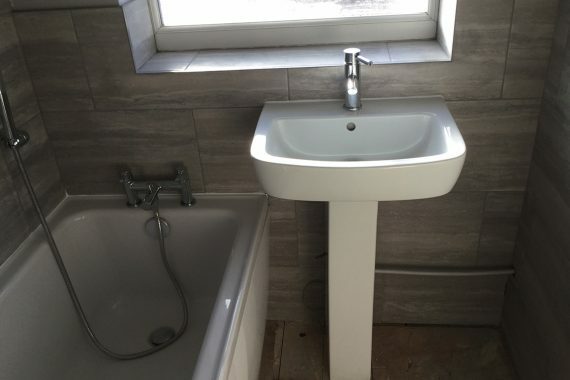 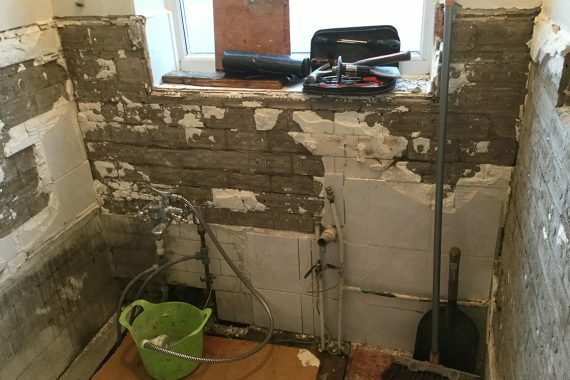 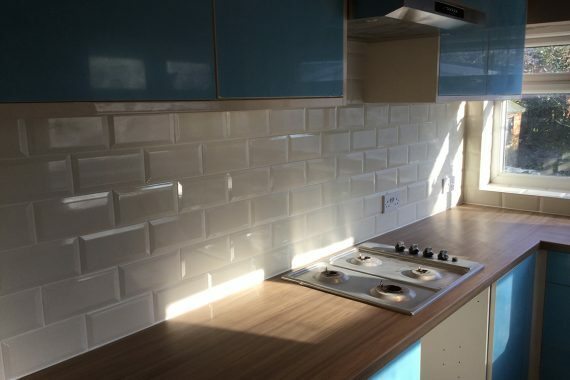 Trojan Renovations undertook a kitchen and bathroom renovation after the clients had their property left in a state by previous tenants. 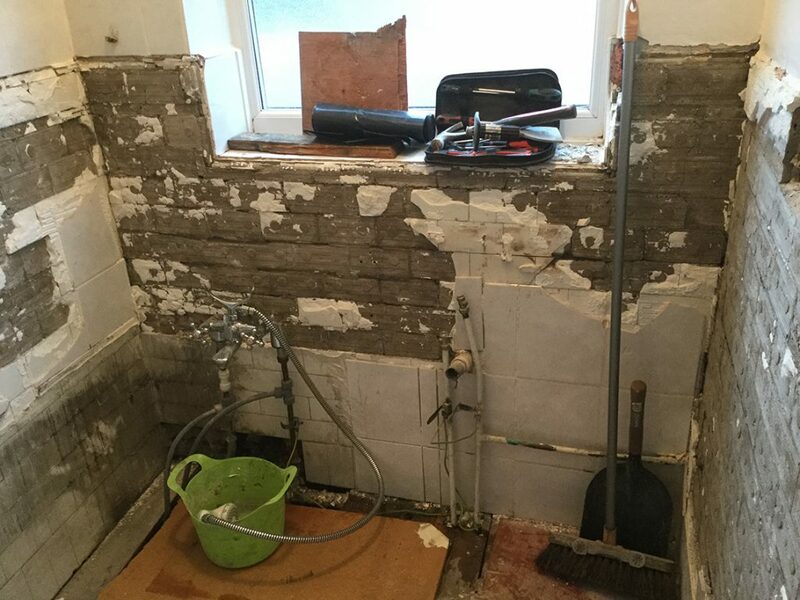 They also had a severe case of rising damp and mould. 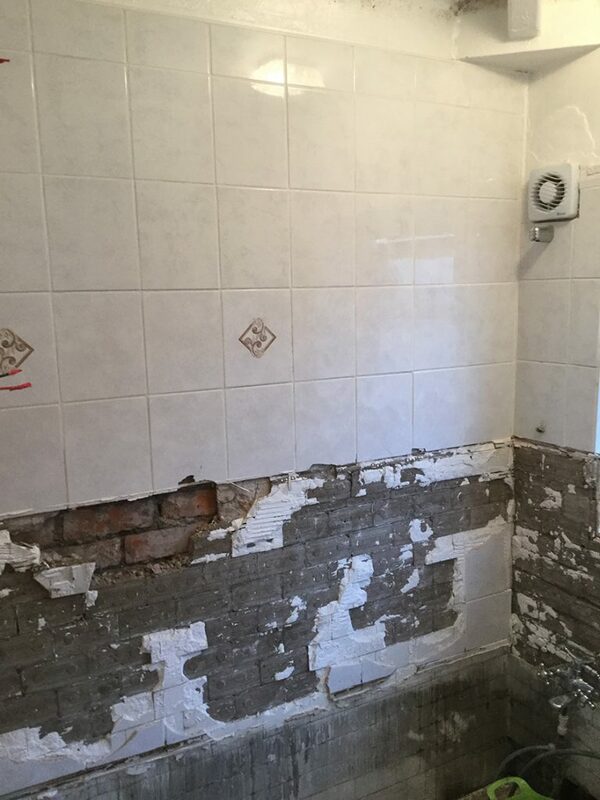 We undertook the job and finished in under two weeks. 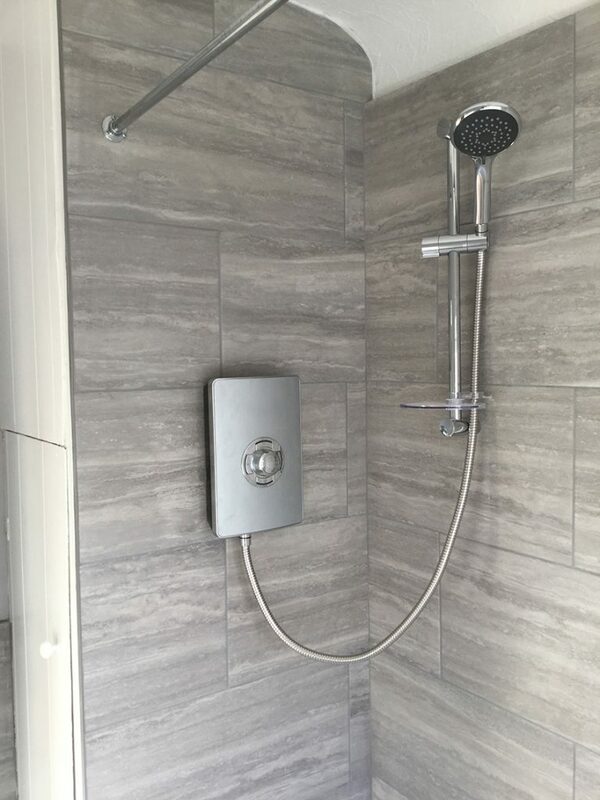 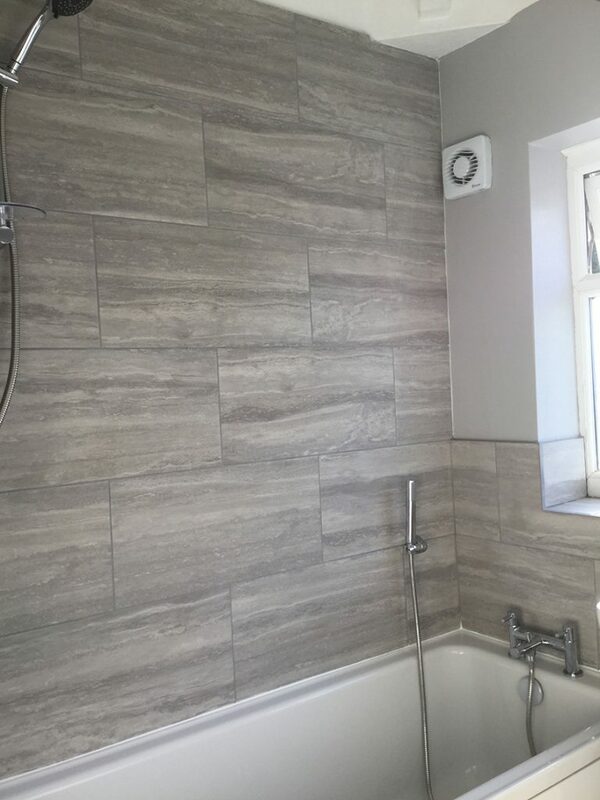 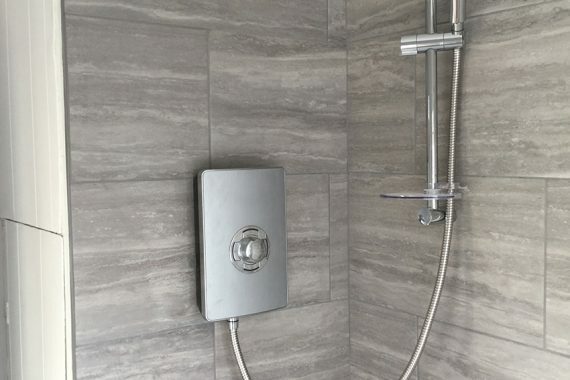 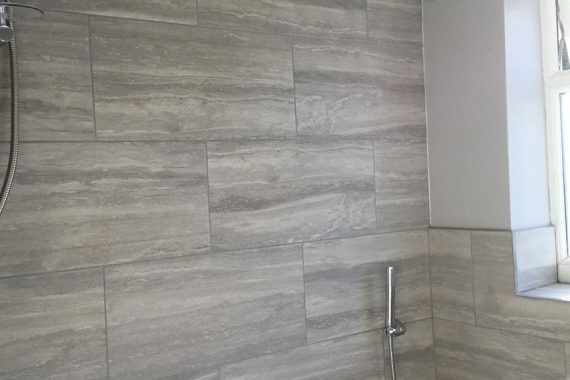 Full bathroom renovation using ceramic wall tiles, electric shower and new bath suite. 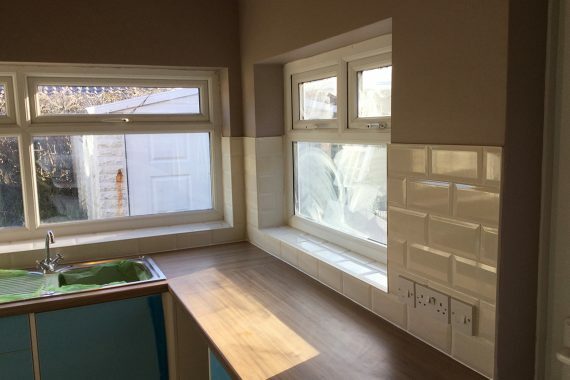 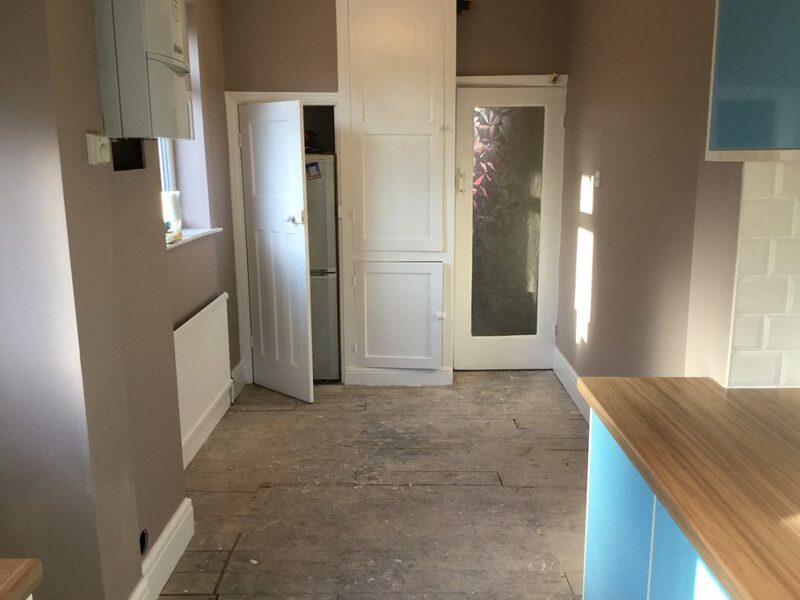 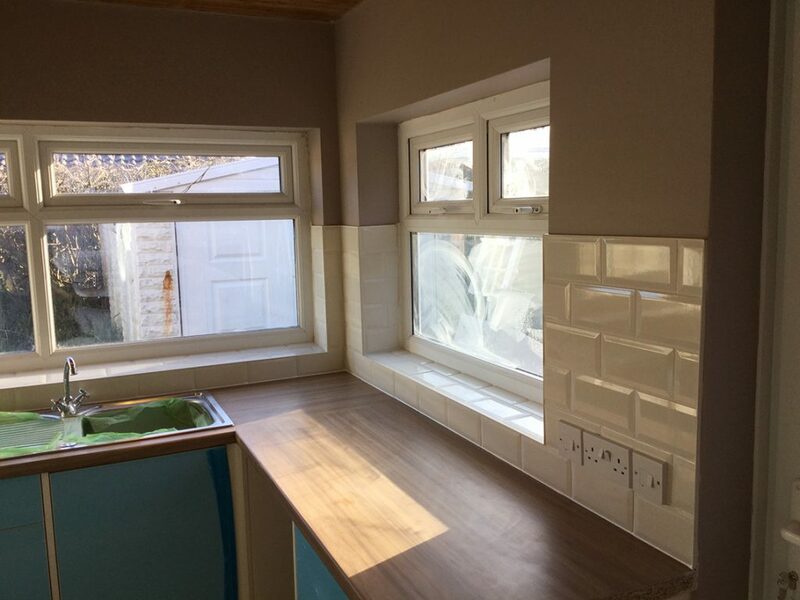 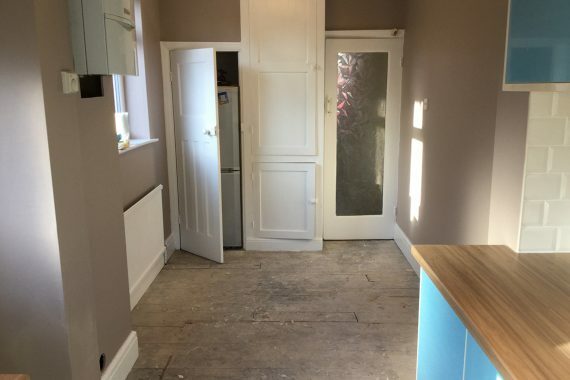 The kitchen had cladding on the walls which were stripped back and plastered, then painted to the clients specification. 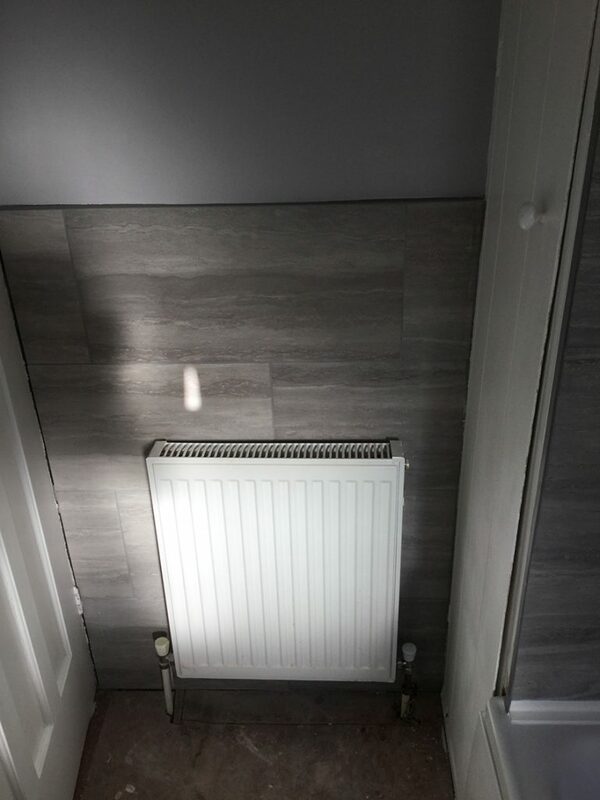 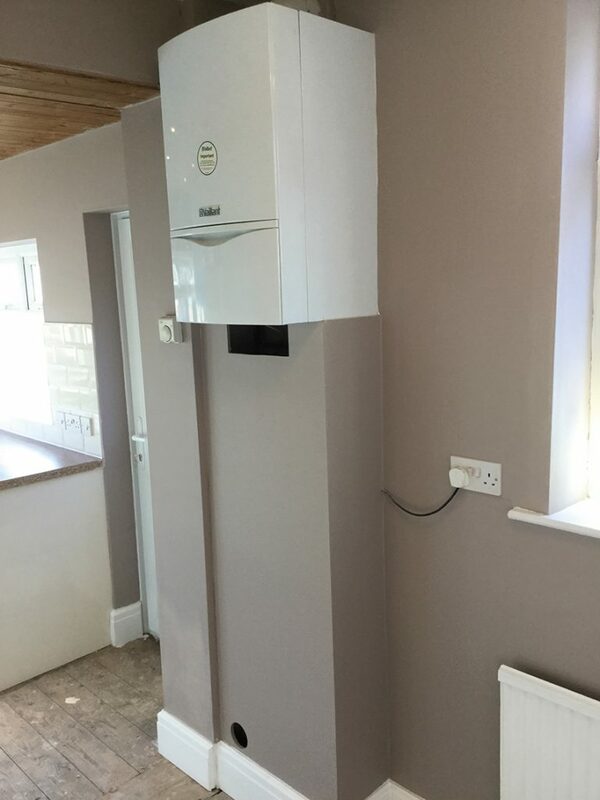 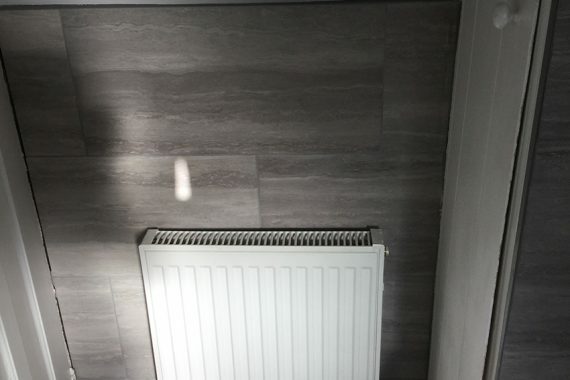 All skirting boards were changed and the boiler was boxed in with access.